Holidays, generally a time of celebration and togetherness, can be a significant source of stress for Solo Moms who are recovering or who have family members in recovery. In a society that emphasizes drinking, a family who wants to celebrate without alcohol can feel awkward, guilty, confused, and angry as they try to make plans that include groups of people who drink, even when those people are cherished family members, valued colleagues, or trusted friends. Should you talk about alcohol ahead of time and try to offset potential problems with advance planning? Should you let things unfold more naturally? What if other people drink to intoxication around you or their drinking makes you uncomfortable? Or what if people not drinking when drinking is customary makes you uncomfortable? How much should you let people know about your or a family member’s recovery? I have spent the past two decades hosting alcohol-free holiday celebrations and have known people personally and professionally who have navigated those questions and concerns. 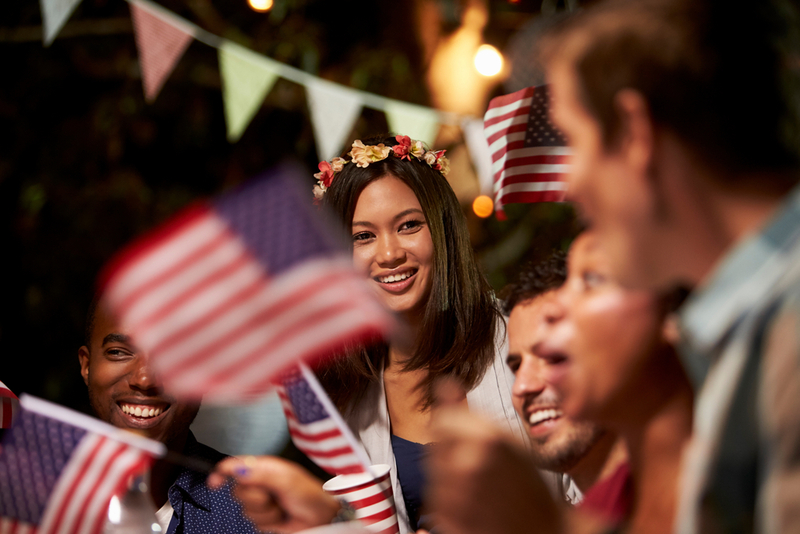 With the Fourth of July holiday approaching, I offer these ideas for Solo Moms who are newly grappling with this issue. Decide with your recovering teen or young adult in advance what information will be shared with family about your child’s problems with alcohol and current needs in recovery. This will help you plan ahead, and it will reduce the risk of your child feeling on the spot at a family gathering. If you are celebrating away from home, tell your recovering child to let you know if he or she needs to leave the festivities, and have a plan in place for that to happen. This means that if you are a Solo Mom of three and your oldest child needs to leave because he or she is having cravings or feeling uncomfortable, you need a plan of least resistance—one that doesn’t involve forcing the two nonaffected siblings to leave early but also doesn’t keep the oldest child in a high-risk situation or draw attention to your child’s need to leave. Safeguarding your recovery by avoiding high-risk situations is the top priority. The details of this will vary depending on how long you’ve been in recovery, whether someone will be present who understands and is supportive of your recovery, and what you know about your own personal triggers and risky situations. Discuss your plans in advance with a trusted person who understands addiction and recovery, such as a sponsor, a friend or relative in long-term recovery, or a substance-abuse counselor. Ask for this person’s feedback on how to safeguard your recovery; he or she might have ideas you have not considered. Have a way out. Even with the best planning, it is not unusual for recovering people to misjudge the level of risk for starting to drink again. You might find yourself suddenly and seriously tempted to drink despite having navigated such occasions sober for numerous previous holidays. This can happen for any number of reasons. The most common strategy for dealing with this is giving yourself as much autonomy as possible by being a driver rather than a passenger when possible and by driving alone or with a supportive person rather than carpooling. Remember that millions celebrate holidays without alcohol and that recovery is something to be proud of. Some people in recovery create rituals to celebrate recovery, such as hanging decorations with recovery-affirming themes or images. Activities such as that help reinforce the idea that alcohol-free holidays are not about depriving yourself of something; they are about opting for something much better. A person’s recovery is a gift, not only to that person but also to all the people in that person’s life. And that is something to celebrate! Editor’s note: This article was updated on 6/21/18.